Partners & Collaborators – Odyssey Medical Inc.
lots of help along the way. Odyssey has established many relationships with partners that make the work we do both fun and safe. ActSafe hosts an excellent annual conference in Burnaby, BC that we are proud to be participants in. Focussed on workplace safety in the performing arts and live event industry, ActSafe provides a great forum for idea sharing. 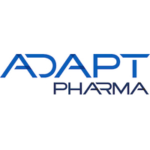 Adapt Pharma, the makers of intra-nasal narcan, in response to the opioid crisis, provided us with 3 cases of product that we were able to distributed amongst teams across Canada, providing a massive safety net for emergency response at high risk and every-day events. Every event in BC that is large enough to consider standby ambulance services, and the special planning that goes into the regional response in the context of an event, works with BCEHS Special Operations. We are proud of the many chances to work alongside this great team all across the province. 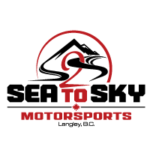 CPG has partnered with Odyssey on the Ironman 70.3 event for several years, and we enjoy collaboration in coverage at many events on Southern Vancouver Island. This not-for-profit was created by our own Justin Gilbert, a professional 911 dispatcher. He has brought together the technology and the people to provide end to end communications solutions and integrated dispatch at major planned events. 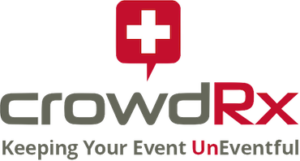 CrowdRx is an event medical services provider based out of New York City, providing coverage in many states. We have looked to each other in providing coverage for our clients on respective sides of the border. Equipe and Odyssey have collaborated on many projects in the province of Quebec, where credentials and licensing in a bilingual environment require that little bit extra. We’ve had the pleasure of collaborating with Missi Wooldridge in consultation over approaches to health strategies at Major Planned Events. 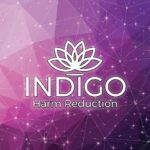 Shelby and the team at Indigo is a grassroots organization that cares deeply about the music community, and has provided services at events in BC, AB and SK. Iridia and Odyssey have collaborated on training opportunities, as well as on the procurement of advanced medical equipment. Iridia’s SMARTMAN has been out at events as a training and crowd engagement teaching tool. We share space with this innovative, collaborative office, warehouse and storage locker space in Burnaby, BC. 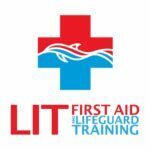 Michael and Renee have collaborated with Odyssey at events since 2014, providing shared adventures for lifeguarding team members at a variety of events, and training in first aid and aquatic rescue for many team members. Mahikan and Odyssey have worked for many years on collaborative projects and deployments. The MGM Summit has been an annual conference since 2016, and we have been pleased to participate, present, and contribute to this industry learning activity. Every year we meet great new people who share our passions for event medicine. Communications is key in emergency response and in event coordination. BearCom Canada keeps our team connected every step of the way with two-way radio solutions for our day-to-day operations and during special events coast to coast. OHM Medical has a diverse range of products and services, including education programs such as ACLS, PALS, AHLS, FR and EMR. The team at OHM Medical have been supporters of events for many years, providing additional capacity with AED’s and advanced monitors. 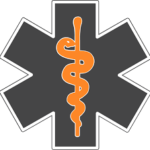 They provide education, training, customized inservices and a wide range of supplies for field and hospital-based providers. Marc is a dedicated paramedic and an electronics expert who can fix, wire, troubleshoot and support just about all of our tech. He generously supports safety at events with the loan of some of his own gear. Priority and Odyssey go ‘way back,’ having collaborated on a wide variety of events in the maritime market. The team at Purdue generously provided 10 doses of Penthrox (methoxyflurane) for our team to trial within our medical direction program to determine where this form of pain control might ‘fit’ within our services. We get to work in some pretty cool places. Supporting a music festival at a ski resort is one of the coolest. Working with Sun Peaks Mountain Safety is a key collaboration for Interior BC events. Our partner provides Odyssey with Radio Communications equipment primarily in the Ontario Market. The team at Telequip has been supportive of the many events over the years. Trip! 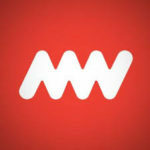 has been supporting the Toronto and surrounding party scene since 1995. Collaborations with Trip! 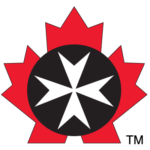 has added to our Festival Health program at a number of our Ontario events. 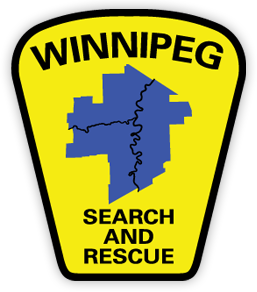 This great group of volunteers not only keeps the back-country safe, but also offers their services for event coverage, and are a key collaborator in this market. 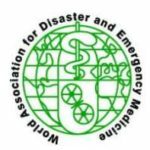 WADEM is an international organization, and the publisher of Prehospital and Disaster Medicine, the journal with the largest concentration of published manuscripts on mass gathering and event medicine. Many from the Odyssey team are members, contributors, and biennial conference attendees. They have great student rates! The Shambhala Music Festival is a unique, destination festival with an independent medical and harm reduction program that leads the field. Dr. Brendan Munn, also an Odyssey Medical Director, leads the ‘Shambles’ team under X.O. Logistics. We have found bidirectional efficiencies in gear sharing, and acknowledge for that many event medical aficionados, that working ‘Sham’ is a bucket-list experience. We are proud of the collaboration. Odyssey carries a variety of Zoll products in our inventory, and on our busiest weekends, we are grateful for the support of Zoll’s loaner pool to ensure that we have even great ability to deliver emergent care when needed.